LEONBERG, Germany, Nov 29, 2016 – K2D-KeyToData GmbH announced the availability of KeyView’s latest version v14. 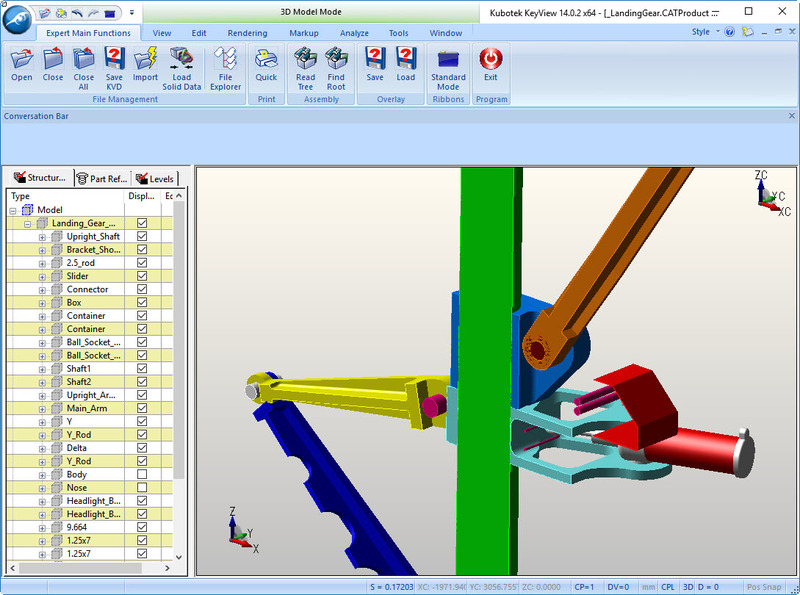 KeyView, the viewer powered by a CAD core, offers impressive engineering and analysis tools far beyond standard viewing functions for users in the area of purchasing, sales, project management, marketing, manufacturing, documentation and many more. KeyView is available starting from 450,- EUR. Download a free 14-days trial version of KeyView v14 here http://www.k2d-keytodata.com/cad-viewer/trial-download-keyview/. K2D-KeyToData GmbH is as dynamic as the development of our products. They have decades of experience and success in the fields of CAD viewer / data visualization. Furthermore they offer converter for direct CAD, software for office markup, quality management software as well as license management software. Together with them you will find the best fitting solution for your requirements. Their service does not end with the sale – they consider after-sales services as equally important. This entry was posted in CAD-CAM-CAE, Featured News on November 29, 2016 by Sharmila Guha.